From bustling metropolises, to isolated cabins in the mountains, Japan has it all. It is one of the most advanced countries in the world, with some of the most breath-taking sceneries known to mankind. 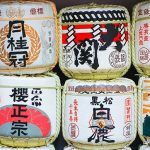 Japan is the kind of country you will want to visit again and again - for the sheer breadth of experiences it offers. So, what are you waiting for? Find out when to visit Japan, and start planning your vacation now! The best time to visit Japan is between March - May, and September - November. This is when the weather is at its best throughout the country. If you want to go hiking in Japan’s several mountain ranges, or to Hokkaido’s beautiful parks, June to August is the best time for you to visit, as the weather will be perfect for hiking! If you are traveling to Japan in September, keep an eye on the weather reports, as this is typhoon season in the country. Japan is a country with endless enthusiasm and timeless beauty. It’s an ultra-modern country that still nurtures its millennium old tradition, making it a country like no other. No matter what season you visit Japan in, there will definitely be a lot of exciting things awaiting you. Generally, the best season to visit Japan is between April and May, and September - December. April to May is the peak tourist season in the country, as the weather in Japan is incredible during these months, and it is also the cherry blossom season. There will be a lot of crowds, so you will have to book your tickets well in advance. Between September and December, the weather is mild and temperate, and the crowds thin out for major parts of the season. The fall foliage will make the country look stunning, especially the national parks in Hokkaido. September is typhoon season, so you should be careful if you’re traveling to the coast during this period. There are a lot of activities awaiting those traveling in summer (such as trekking and mountaineering) and winter (skiing) as well. Spring is a beautiful time to visit Japan. The weather in Japan is stunningly pleasant, and there are white and pink cherry blossoms blooming all across the country. There is a little rainfall, especially around Tokyo, but it is not completely unbearable. In many ways, this is the peak season in Japan, with a lot of demand for accommodation and travel during these months, so make sure you get your tickets well in advance. Highlights: You should definitely not miss out on hanami (cherry blossom) viewing during these months - as it is the highlight of the season. Hokkaido is rather beautiful towards May as well. Japa goes on holiday for a whole week during these months- known as “Golden Week”. It takes place from April 29 - May 5, so a lot of Japanese people will be traveling around this time. Expect some businesses to be closed, and the transport to be busy during this week! You should definitely not miss the ethereal Takayama Matsuri festival, held in Takayama, in April. Summer in Japan can be hot and humid, with a lot of rainfall. The high rainfall means that the gardens and parks will look especially lush during these periods, but you should definitely carry your umbrella around everywhere you go. Overall, this is not when to visit Japan if you want to hit the coast. September is peak typhoon season, so keep your ears open for any storm warnings if you are traveling in September, especially to Okinawa, or southern coast. Highlights: There are a lot of festivals held in summer. July is when to visit Japan if you want to climb Mount Fuji, which is most accessible during this month. The world famous Kyoto Matsuri festival, which has been held from 9th century, takes place in July, and is an event you should not miss. Another unique festival is the Awa Odori, held on Shikoku Island. This festival happens between July and August, and is a part of the Obon Festival, held to honor the dead. If you cannot handle the summer heat, you can head to Japanese Alps, Tohoku, or Hokkaido during these months! Fall is exceptionally beautiful in Japan, especially in the mountains and in the national parks, when the fall foliage takes over. The weather also begins to cool down from the summer, and the rain begins to taper down as well. The skies are usually clear during these months, but expect some scattered rains. October and November are the busiest months of the fall, so expect some crowds around this period. If you want to enjoy the fall colors, or koyo, without crowds, early December is your best bet. Highlights: Hokkaido’s national parks are stunning during the fall months, as the changing foliage provides stunning views you will not find elsewhere in the world. You could also head to Kyoto for some stunning views, especially at the Higashiyama district. Every few years, there is a five day national holiday called Silver Week, held at the end of September - check up and see if this will change your holiday plans, before you make your travel itinerary. Winters in Japan can be incredibly cold, with temperatures dipping to 30° F. Tokyo itself gets quite cold, but it is cooler in the mountains, where there will be a lot of snowfall. This is the low season in Japan, and there are fewer tourists in the winter than in any other season. Highlights: There are a lot of options for those visiting Japan in winter. Both Hokkaido and Japan Alps have great ski slopes that are amazing during the winter months. You can also visit a Japanese onsen (a hot spring): the most pleasurable experience you can have during the cold winters! Sapporo’s Snow Festival will be a unique place to visit as well. Around Christmas and New Year’s Eve, a lot of the accommodation might get sold out, and many places may close down as well. Surprising as it might sound, a Japanese single..